ISL Final was between FC Goa VS Bengaluru Fc.The 2018-19 ISL Final cup was won by Bengaluru FC.The ISL fifth season champion is Bengaluru FC. ISL Football 2018 -19 Final match was between FC Goa VS Bengaluru Fc was at Mumbai Football Aena. Kick off was by 7:33pm(Indian Standard Time). 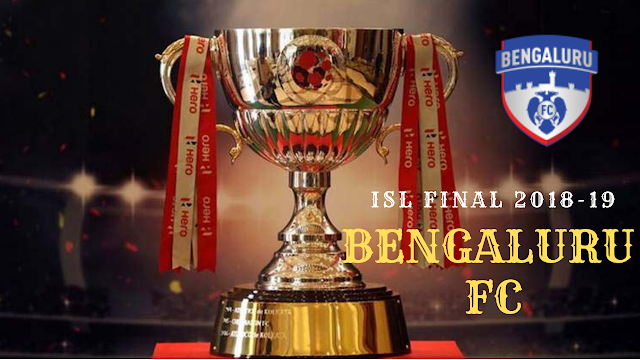 Bengaluru FC Won the ISL fifth Season final trophy. They defeated FC GOA by 1 Goal. Rahul Bheke (Bengaluru FC Defender #2) Socred the Winning goal at ISL Final against FC Goa. BENGALURU FC's and FC GOA was in 4-2-3-1 formation, at First half both teams didn't score. Second half FC GOA played well and there shot on target was 3 out of 11 shots and 82 % of pass accuracy was there for Govan team and 9 offsides too. First Yellow card was in the first half for FC Goa Player Mourtada Fall (Defender #25). Ahmed Jahouh(Goa #5) got the First ISL Season Red Card was given in The final Extratime. 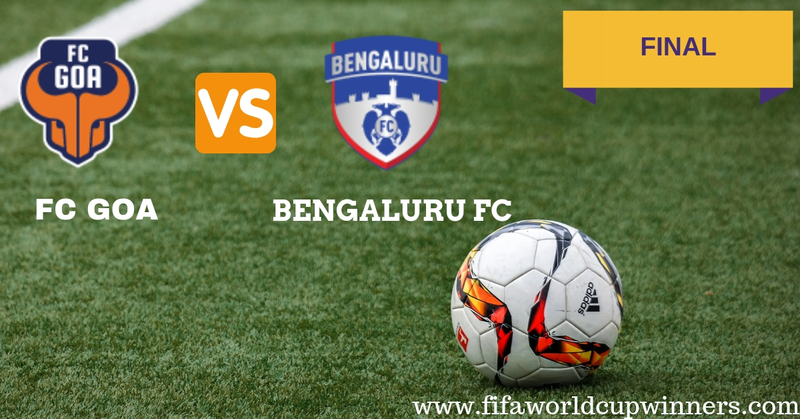 Bengaluru Fc made 19 fouls and Fc Goa 19. ISL FIFTH Season Champion is Bengaluru FC.